Only 47% of fund managers see a Fed rate hike this year, down from 58% in September, according to Merrill's monthly poll. Most investors in Bank of America Merrill Lynch’s October fund manager survey are doubtful that the Federal Reserve will raise interest rates in 2015. Only 47% of investors believed a Fed rate hike would happen this year, down from 58% who expected one in the September survey. “As investors debate the timing of a rate hike, they should be anticipating a massive policy shift in the U.S., Europe and Japan from [quantitative easing] to fiscal stimulus in 2016,” Michael Hartnett, chief investment strategist at BofA Merrill Lynch Global Research, said in a statement. A net 19% of the panel told researchers that global fiscal policy was too restrictive. The survey, conducted from Oct. 2 to Oct. 8, polled 209 participants managing $512 billion of assets. Thirty-nine percent of panelists still considered China the biggest “tail risk,” but their ranks were much reduced from 54% in September. 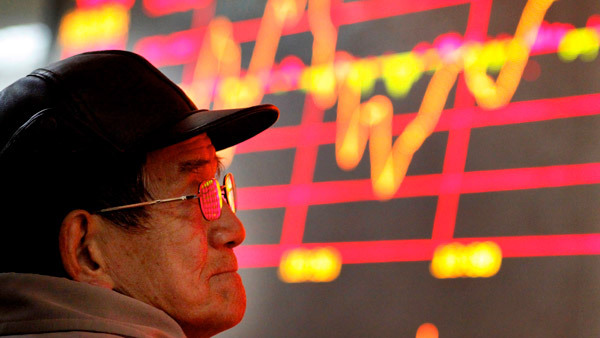 Pessimism over Chinese equities had eased, according to the poll. Not so global emerging markets, as 23% of the panel named short emerging markets equities the most crowded trade, up from 20% in September. A net 26% of investors said corporate operating margins would fall in 2016, up from a net 18% in the September survey. Cash balances in October fell to 5.1% of portfolios, down from the 2008 crisis level of 5.5% last month, but they were still above historic average levels. — Check out China, Brazil Cause Headaches for Emerging Market Investors on ThinkAdvisor.